In the same year, aviation royals like Singapore Airlines shared their plan to reduce their First Class offering, in favor of a more premium Business Class cabin that would have served both markets. When royals claim for "less luxury", either the game has changed or it has not been understood by the public! SVP Marketing and sales of Singapore Airlines Mr Wilson said “In the context of business class becoming so good, the incremental reason for most travelers to travel first class rather than business is not as compelling as it perhaps used to be before full lie-flat beds" As a result all SIA A350 doesn't offer first class, All Cathay Pacific Next Gen planes being delivered without First Class and now Qatar Airways is introducing " QSuites", a true First Class cleverly deployed, priced and accepted as a Business Class product that makes a proper First Class irrelevant in their fleets to come. 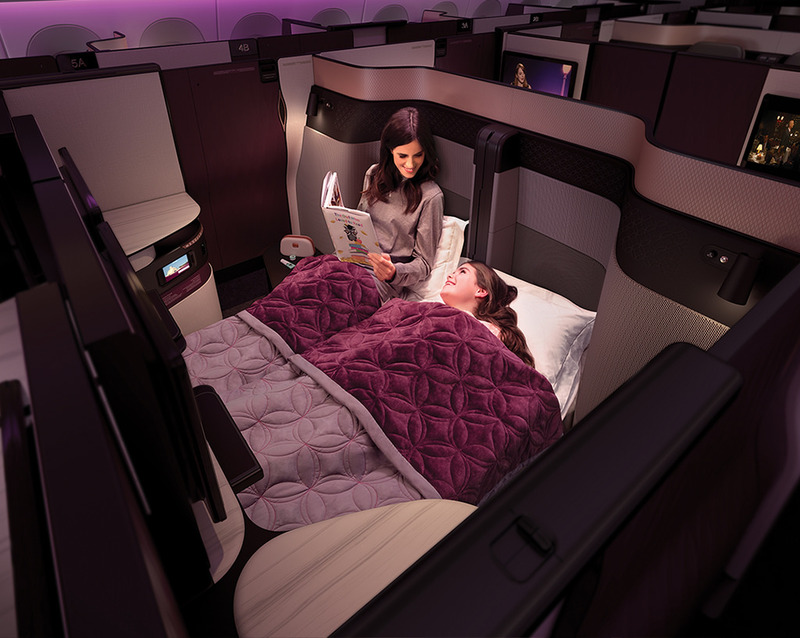 The rationale behind this approach is clear: With Business Class becoming so good, first Class is only a secondary marketing tool to position an airline and a never truly-needed luxury. The Rationale is soo rational that even the king of rationality is following the approach: Lufthansa will retain First Class only on the currently flying B747-8 and A380, the rest of the fleet will go Business/Economy/Premium economy. The rest of Europe and Asia will simply follow. American carriers have been industry followers for about two decades now and will hardly leave their created niche of First Class fliers. Their market is still based on Frequent flier loyalty, corporations contracts that allow top management to fly the so-called First Class Cabin when in reality, compared to global standards the product is usually a Business minus (take most of single-aisle planes of the Big3 flying domestically with the so called First Class). So in all of this market trend and number crunching of improving economy fliers' lives with international Premium Economy and Business class fliers' comfort with First Class-like cabins, American Airlines is introducing "Economy Minus" and retain "First Class". Qatar Airways always makes luxury one of its core brand values; with the Qsuite the team found the efficient way to blend First and Business and propose a cabin that offers no compromise to either passenger types (including families traveling together). The clever usage of spaces, geometry, the "to-the-inch" deeply studied passenger behaviors, resulted in a product that position the airline as a game changer, and renews its trend setting. The product is cleverly studied to satisfy the stringent requirements of all the strategic airline departments: the internal ultra-demanding "Fleet Planning", Revenue Managment, Marketing and Sales, Passenger Experience, Engineering. The real achievement here is a product that can exceed the expectations of high-demanding passengers, which also complies with the revenue optimization requirements on an Ultra-Long-Haul fleet (777 and A350), which numbers and margins are soo slim that adding or removing one row of seats would change the economy of the entire plane. Will be interesting to see what the rest of the Qatar Airways fleet will feature to match or even exceed the recently announced industry upgrade. In the next article, we will talk how and why Emirates, can get away to be recognized as a luxury carrier while still offering 2-3-2 Business Class cabins with no access to the aisle for all on current and future B777s ... Few other examples will make us really think about MARKET POSITIONING AND STRATEGIC COMMUNICATION.